With a clear, blue sky, the autumn foliage at its peak, and rain forecast for the next few days, I decided to check out the work of the Friends of the Carp Hills on the Crazy Horse Trail. Parking my car at the trailhead on March Road, where it intersects Huntmar Drive, I tucked my pants into my socks (tick prevention) and strolled into the forest. The trees closed around me, and the sounds of traffic gradually faded. The Precambrian bedrock of the Carp Hills rises from the clay-covered limestone of Ottawa’s west end. 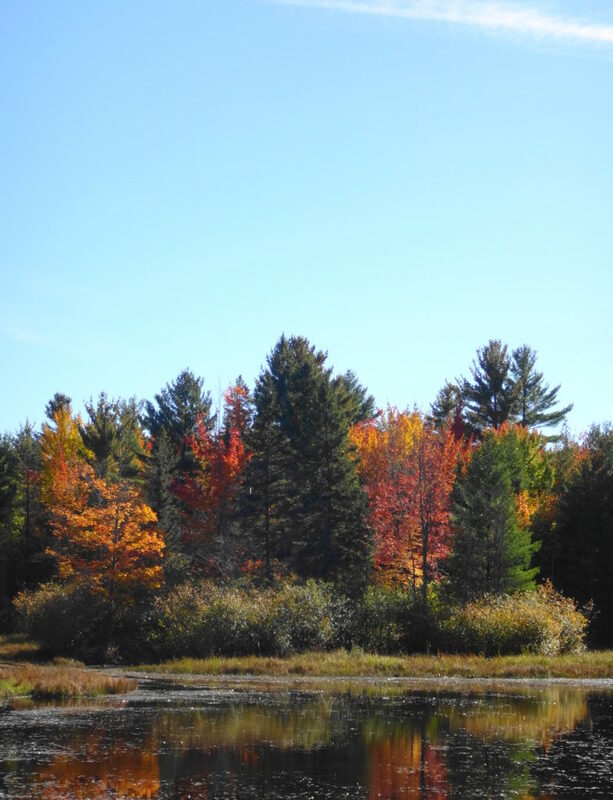 Historically, the thin soils and rock barrens resisted settlement, leaving the hills as one of Ottawa’s most beautiful natural areas. The City of Ottawa already owns and protects large portions of the Hills. 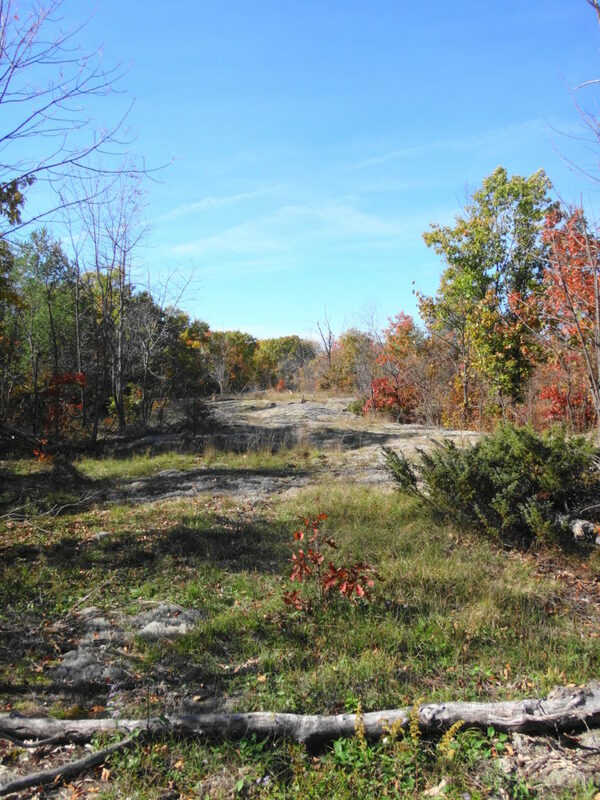 Other landowners have protected additional areas through voluntary conservation easements. 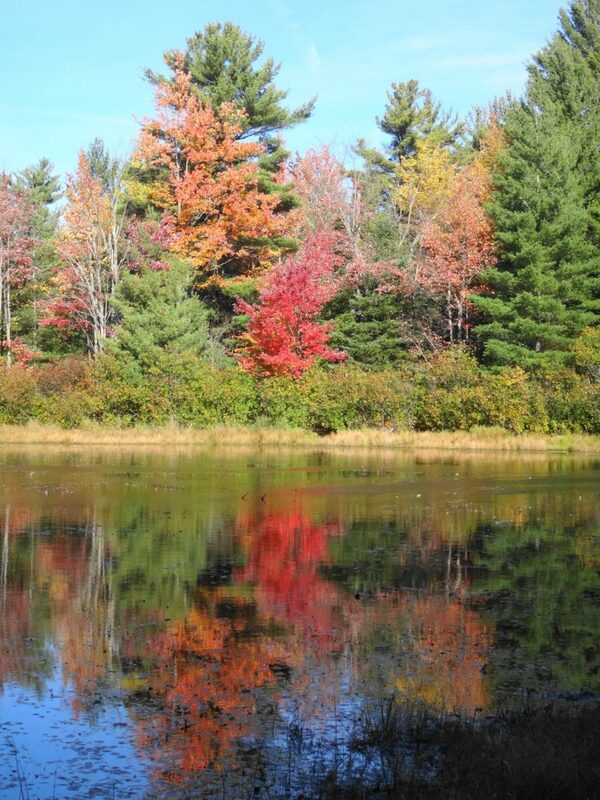 At the heart of these efforts, the Friends of the Carp Hills have committed themselves to seeing the area preserved for the enjoyment of current and future generations. 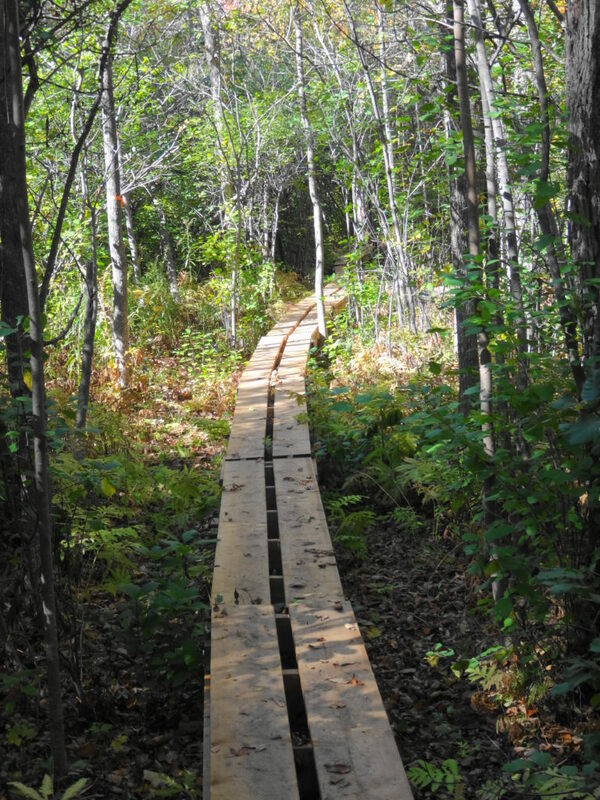 Under the guidance of their Trail Foreman, Bernard, the Friends of the Carp Hills have created an 8 km long hiking trail on City-owned property. Much of the trail follows an informal network of cross-country ski trails. With the help of City staff from the Parks and Natural Systems branches, the Friends have blazed a route that visits shady forests, sunny glades, and luscious wetlands. 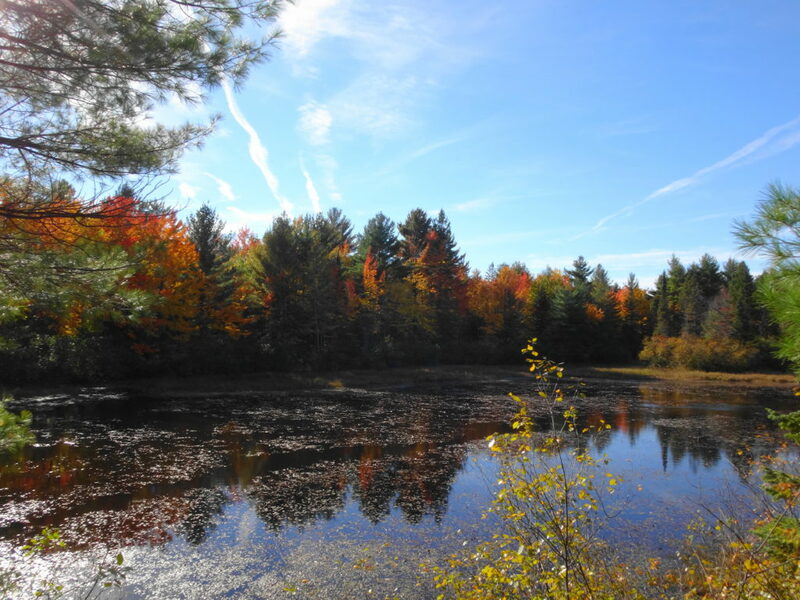 While avoiding the most delicate and sensitive features, the trail winds past maples and pines, crosses beaver dams, and curls around boulders. 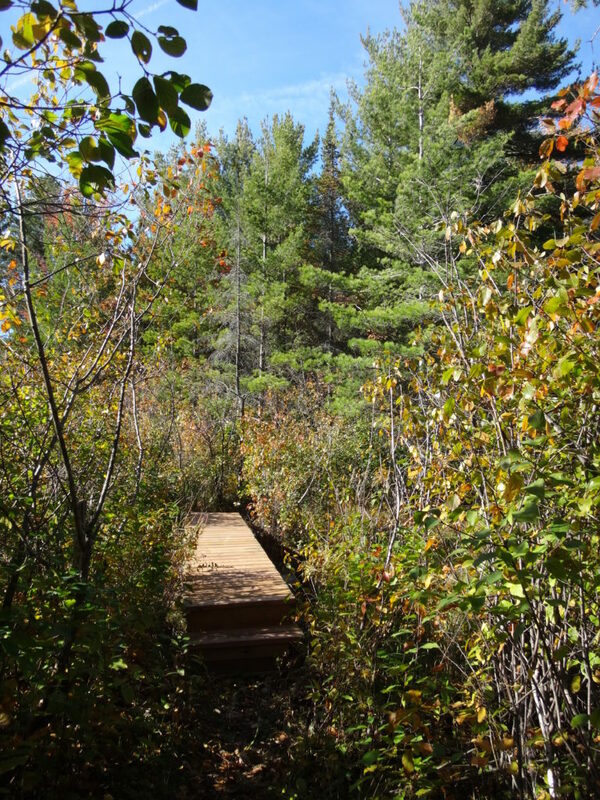 Short spur trails lead to lookouts over wetlands and lichen-encrusted rock barrens. Where a short bridge spans a narrow watercourse, a rich fen lies to one side, gorgeously clad with sedges and other wetland plants. Markers guide hikers along the way, and the Friends provide a map on their website. On this day, the woods seem quiet. Here and there a downy woodpecker taps on a tree, a blue jay rustles in the underbrush, and small, foraging flocks of chickadees and tardy kinglets pass through the forest. 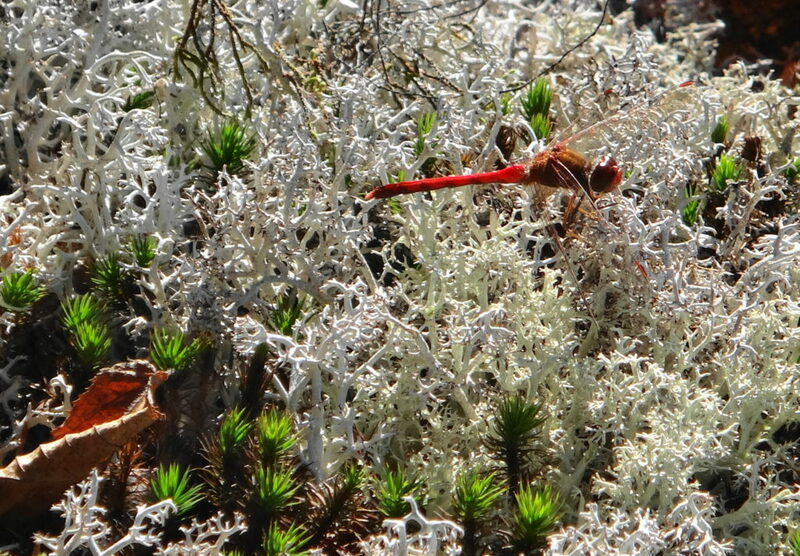 A few scarlet, autumn meadowhawks dart here and there over the barrens. A red squirrel scurries across the trail, carrying a mushroom almost as large as itself. 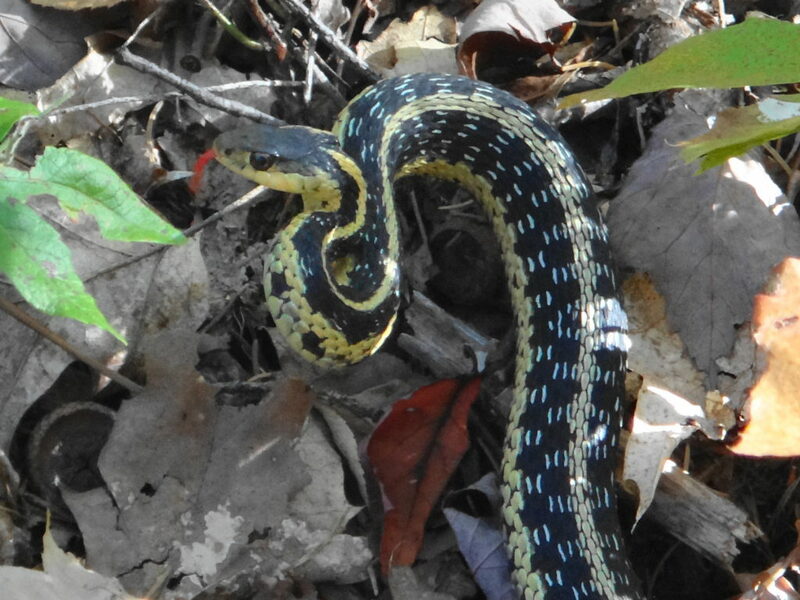 A garter snake curls up in mock aggression as I pass. A small flock of geese honk on the Big Pond. 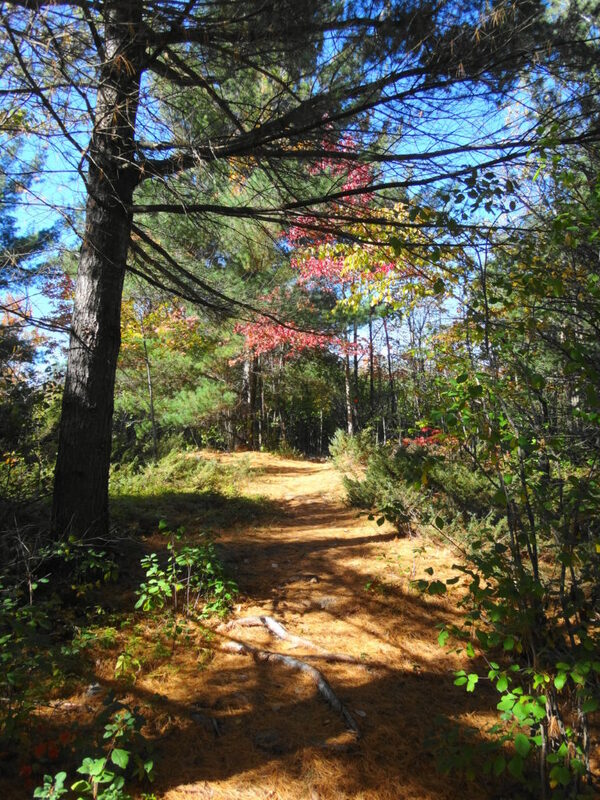 Mostly, though, I wander alone along the trail, simply enjoying the beauty of the day. The largest living thing on earth lies within the floor of a forest in Oregon. 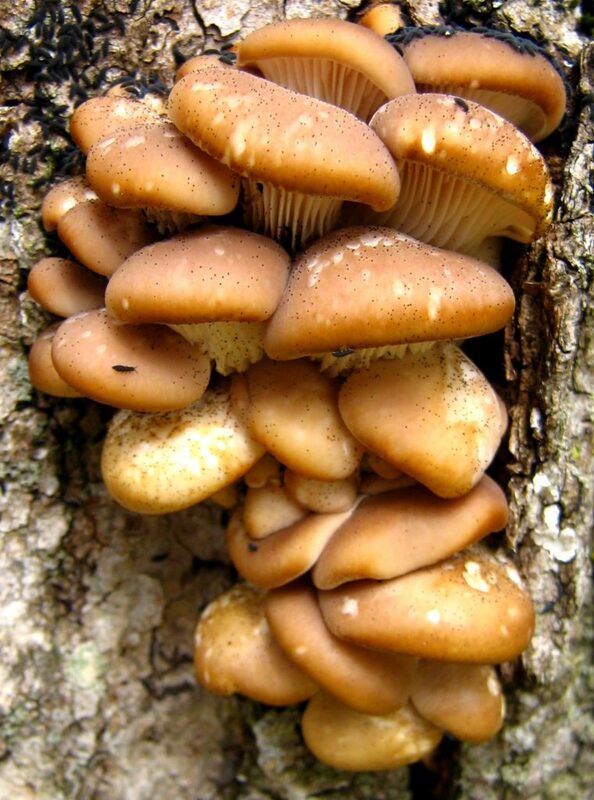 A honey mushroom, Armillaria solidipes, it has spread over thousands of years through the soil and litter to parasitize the roots of trees over a four square mile area. 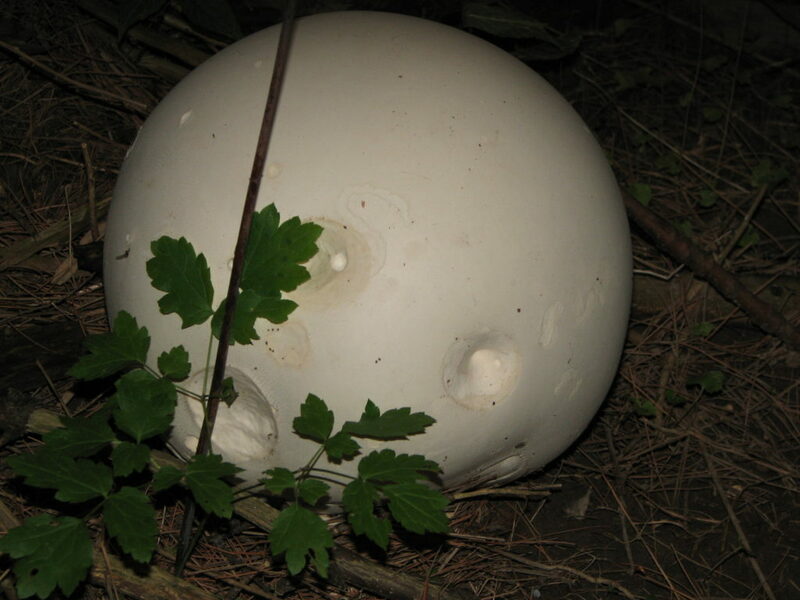 Tests have showed that the entire mycelial network consists of a single, fungal colony — a single, almost immortal organism. I sometimes think about bringing brown paper bags with me into the forest. Unfortunately, that thought usually comes when I’m standing before a feast of oyster mushrooms sprouting from a log or tree, with no way to carry them home. By the time that I return, the slugs will have found them. Generally, however, I have little interest in picking mushrooms. 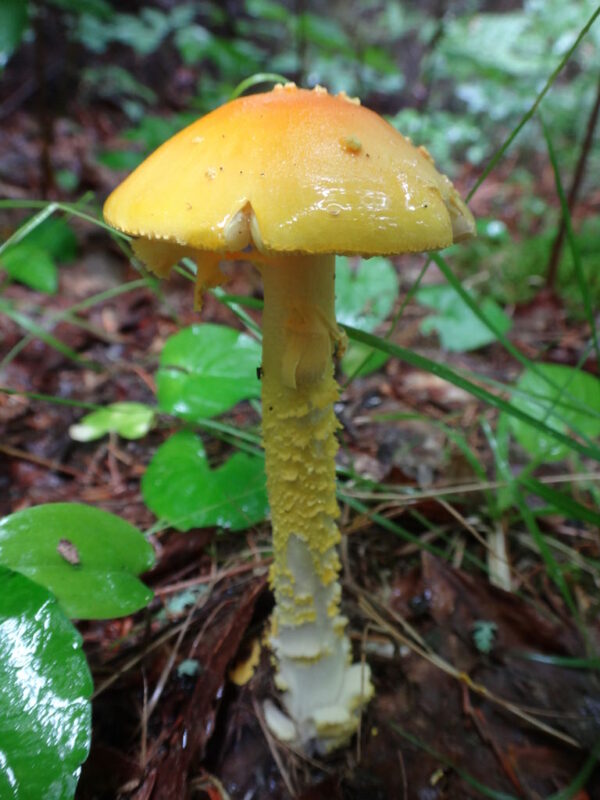 My reluctance comes, in large part, from my lack of confidence in distinguishing edible mushrooms from the many inedible or poisonous species that grow side-by-side with them. It also comes from my appreciation of the beauty of mushrooms and the fascinating, critical role that they have played in life on Earth. A beautiful but deadly Amanita frostiana, Frost’s Amanita. 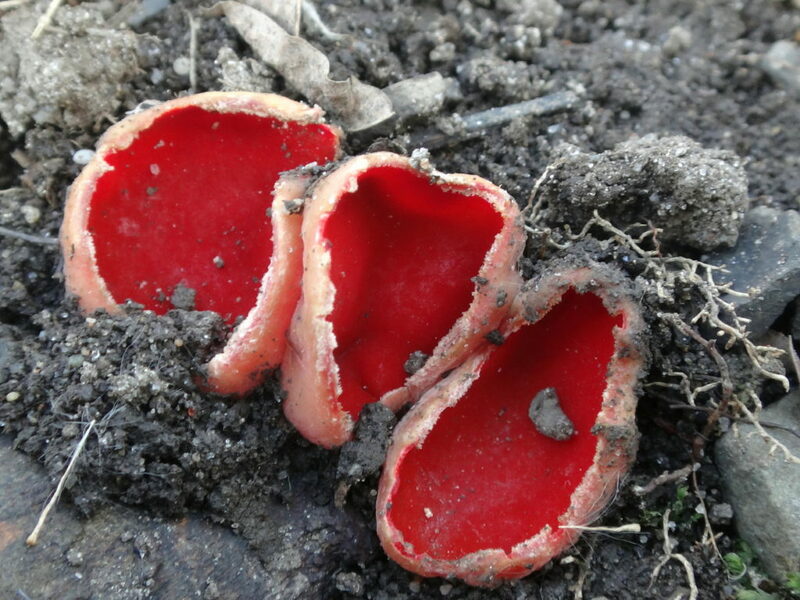 By some estimates, almost 90% of the Earth’s plants form a symbiotic relationship with soil fungi. These mycorrhizae colonize plant roots, feeding on the sugars produced by the plants. 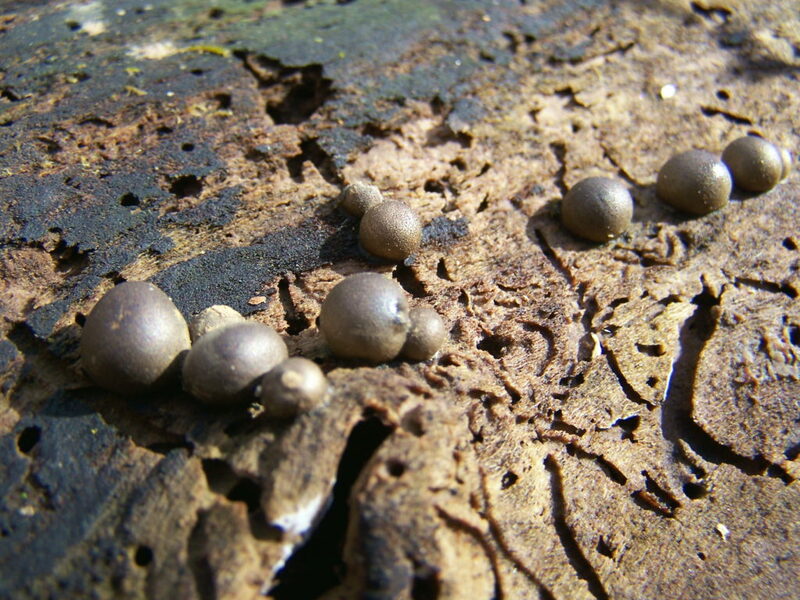 In return, the fine mycelial threads of the fungi penetrate into soil pores and other spaces where plant roots cannot reach, giving the plants greater access to water and nutrients. They break down leaf litter and other detritus, improving the efficiency of nutrient cycling. They may even use organic acids and enzymes to dissolve rock, releasing phosphorous that would otherwise be unavailable to the plants. 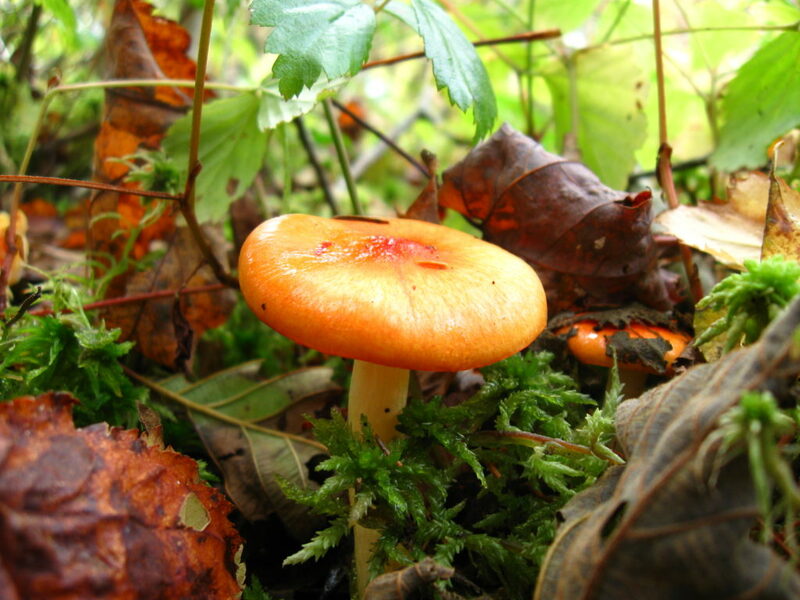 Not just individual species or plant families, but entire ecosystems like the northern boreal forest depend upon mycorrhizal fungi for their existence. 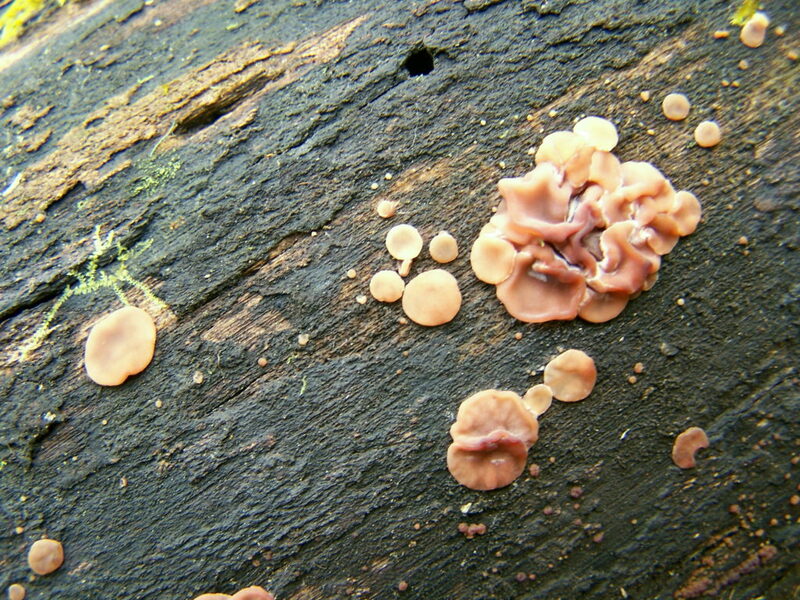 Genetic studies suggest that the relationship between fungi and plants goes back to the very first colonization of dry land by plants. 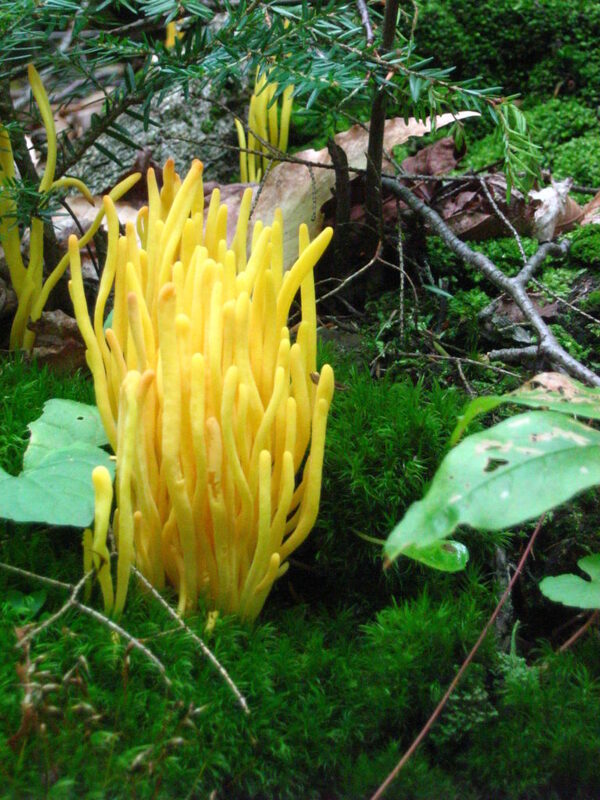 DNA analyses show that mycorrhizal fungi diverged from a group of parasitic aquatic fungi called “chytrids” approximately 700 million years ago — just about the time that the first land plants appear in the geological record. It seems very likely that these mycorrhizae not only accompanied plants on to the land, but that they actually made colonization of land possible through their superior ability to scavenge for water and nutrients in the barren landscape. As a photographic subject, mushrooms seem sadly underappreciated. 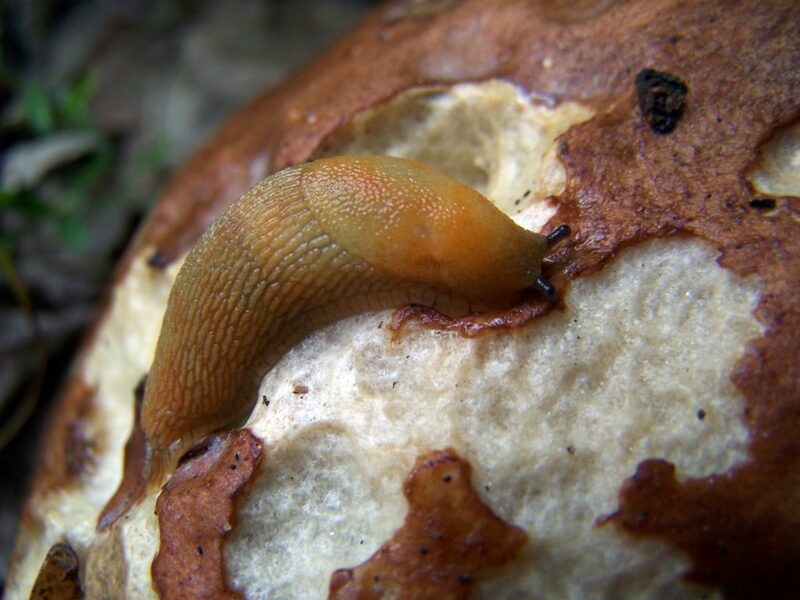 In the dog days of summer, when the spring chorus of birds has faded and the other forest animals hide from sight with their young, when the trees cast the forest floor in shade and the trilliums have withered and dropped, many of the most colourful mushrooms begin their slow eruption from the humus. Purest white, brilliant yellow, earthy browns and tans, luminescent orange, pale translucent blue… they turn dried leaves, moss and twigs into minature landscapes. 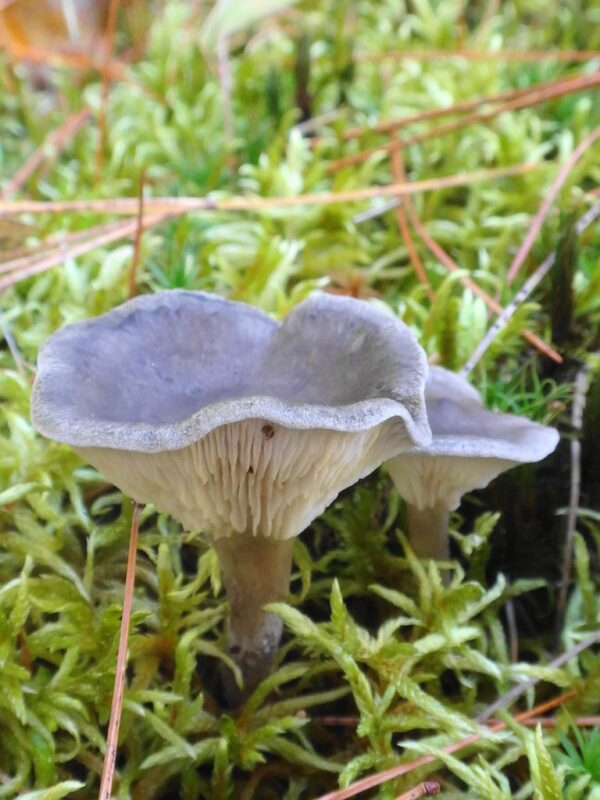 One appreciates them most from close up, lying carefully amidst the ferns, tree seedlings, and forest litter: the different varieties and substrates, the forms and textures, the subtle details of cap and stem when viewed from the side or below. 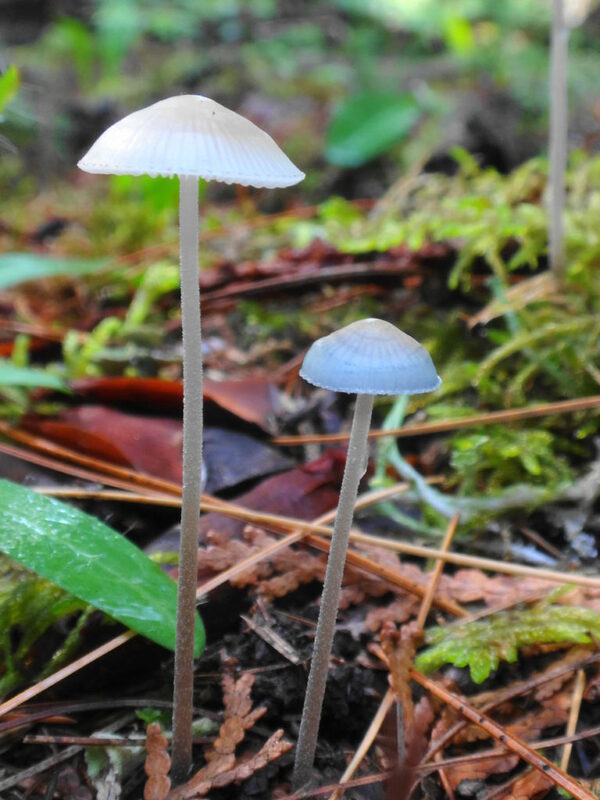 Other features of the forest floor also come into focus. Slugs enjoying a meal, tendrils of moss, skeletal scaffolds of decaying leaves. 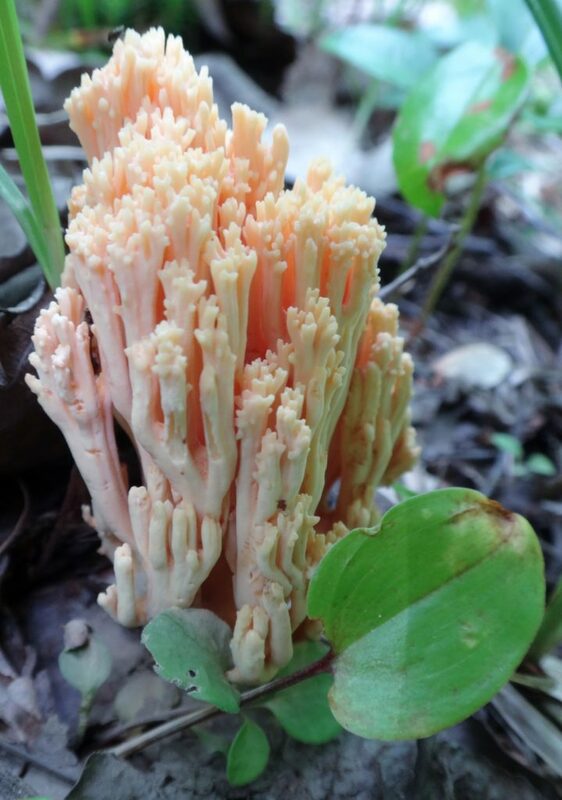 The first coral fungus that I ever examined held a red spotted salamander hidden amidst its spires. Sadly, on that day, I didn’t have a camera with me. 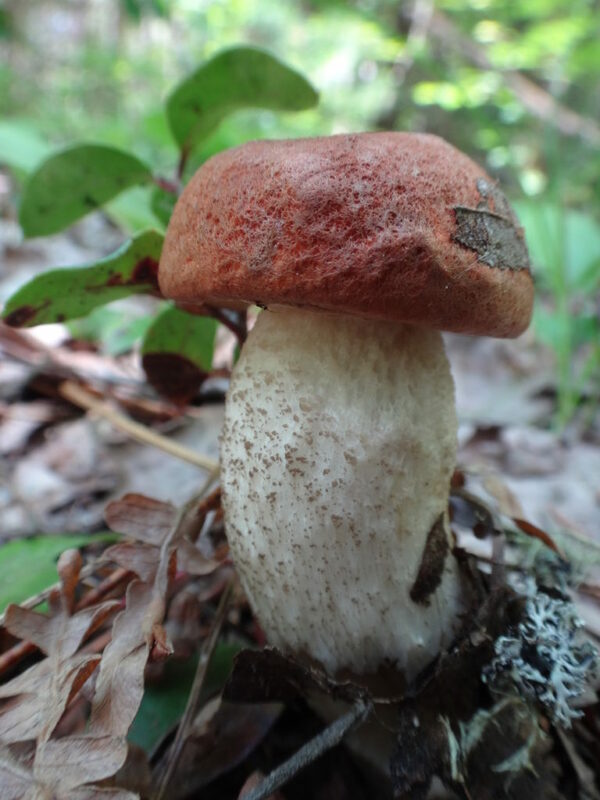 Every woodlot will have its share of mushrooms. 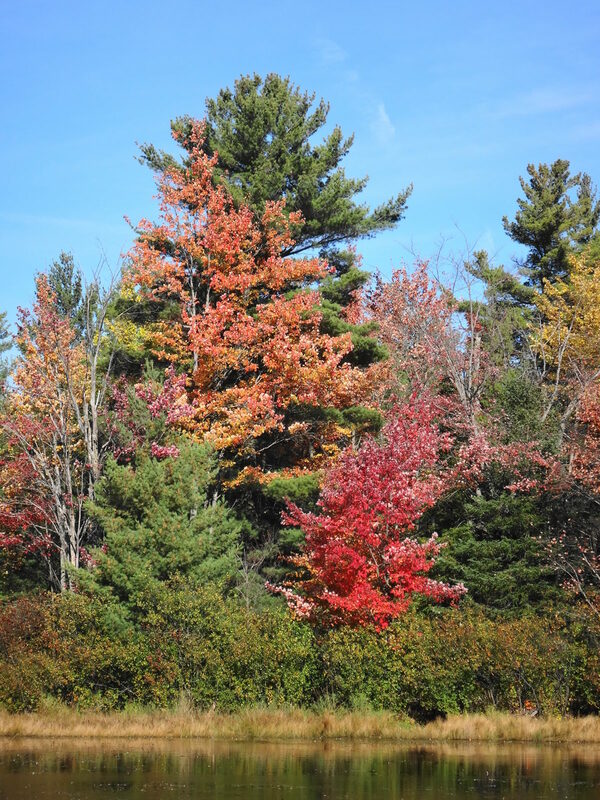 My favourite places to search for them are the Four Seasons Forest Preserve in Deep River, where I spend two weeks each summer with my family, and Gatineau Park, where I often cycle and hike on weekends. 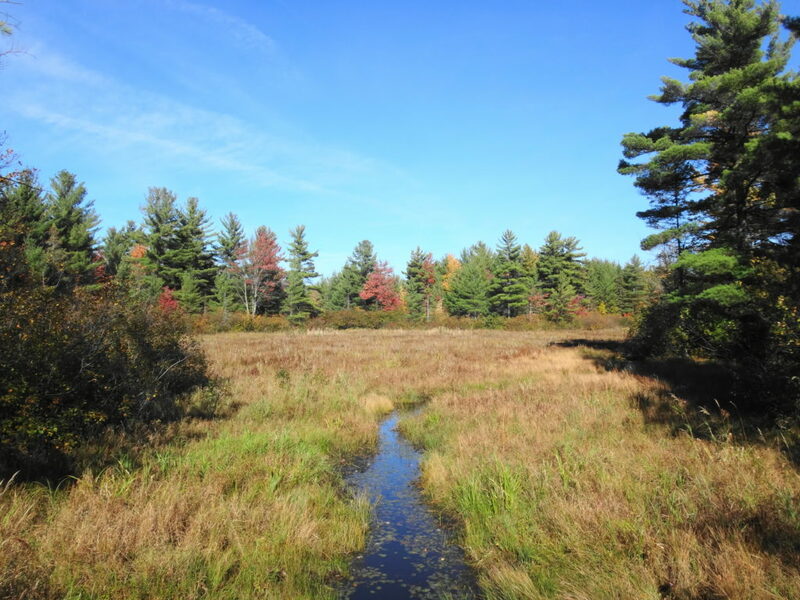 Both areas offer a wide range of habitats, from dry pine and oak forests, through cool coves of maple and beech, to dank cedar swamps and wetlands. 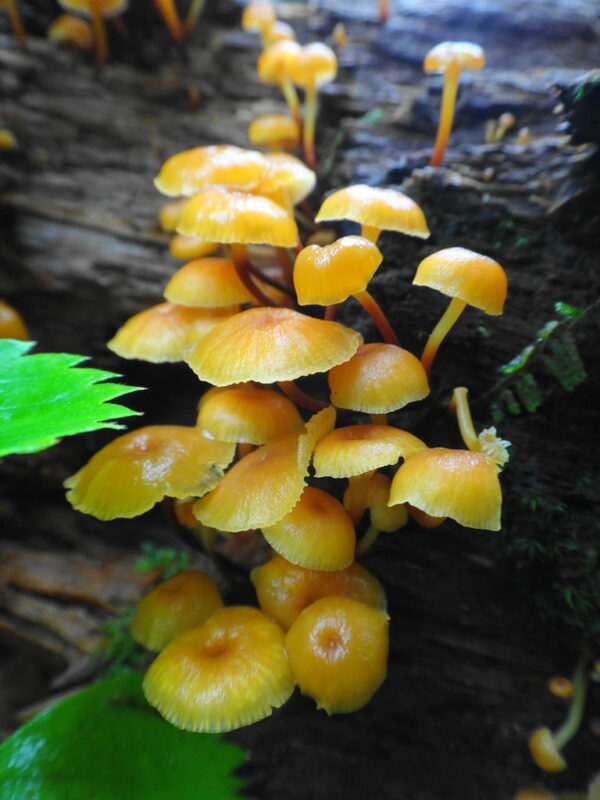 Please refrain from collecting mushrooms on protected lands and conservation areas: thousands of hectares of crown land lie available for collecting. And please refrain from collecting altogether unless you can confidently identify the edible varieties. 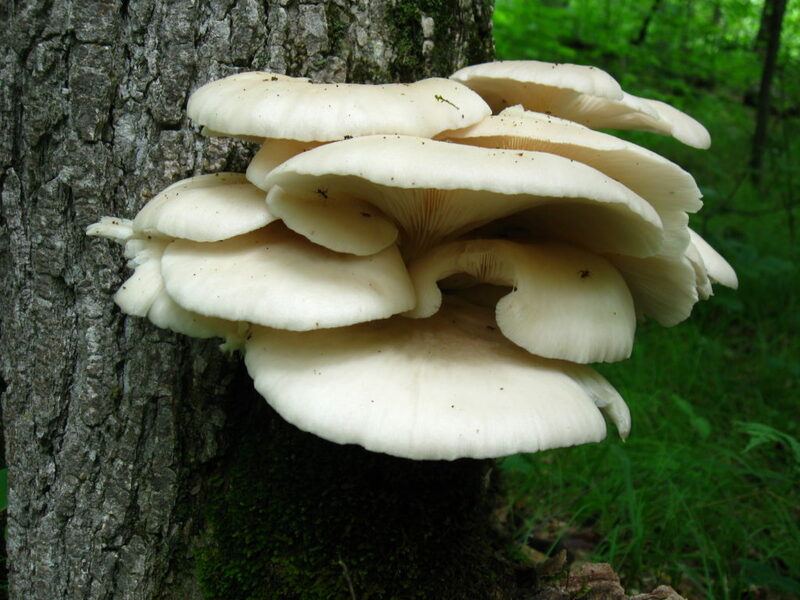 Most mushroom guide books will list four or five unmistakable, “safe” species, such as oyster mushroom or black and yellow morels. Outside of those species, the chance of accidental poisoning or adverse effects increases dramatically for non-experts. 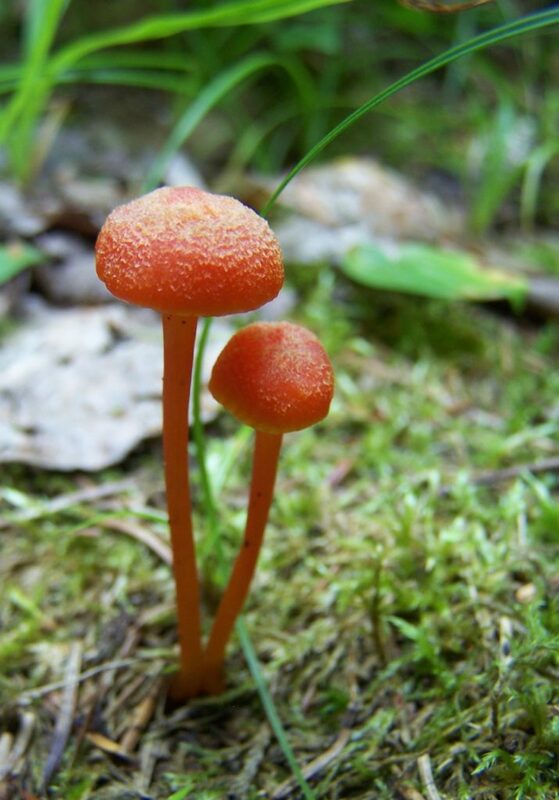 Picking mushrooms for their hallucinogenic properties is especially risky, not just because the hallucinogenic species are almost indistinguishable from more poisonous species, but also because the reaction to such mushrooms can vary greatly between individuals. It simply isn’t worth the risk. 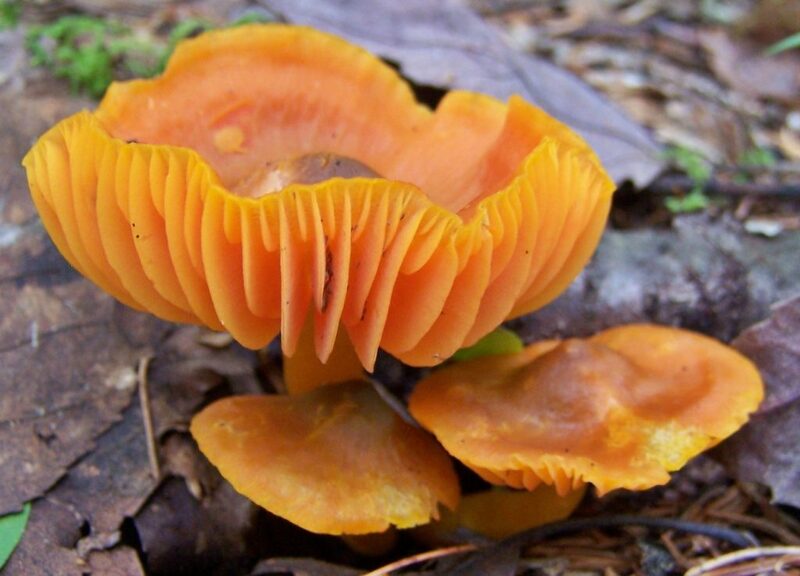 Omphalotus olearius, Jack O’Lantern. Deadly poisonous. 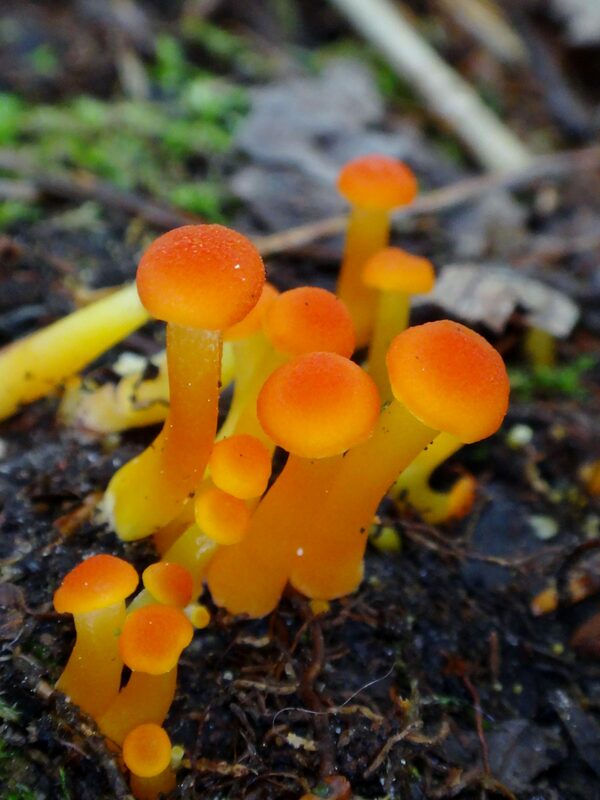 Do, however, get down on your stomach to admire and photograph mushrooms. And while you are there, in contact with the living forest floor, think about how the life in the forest is linked and interwoven. How the trees around you are connected by the hidden network below you; how the living and the dead are connected in the circle of life, and how the miracle of evolution has produced the wonder of it all. 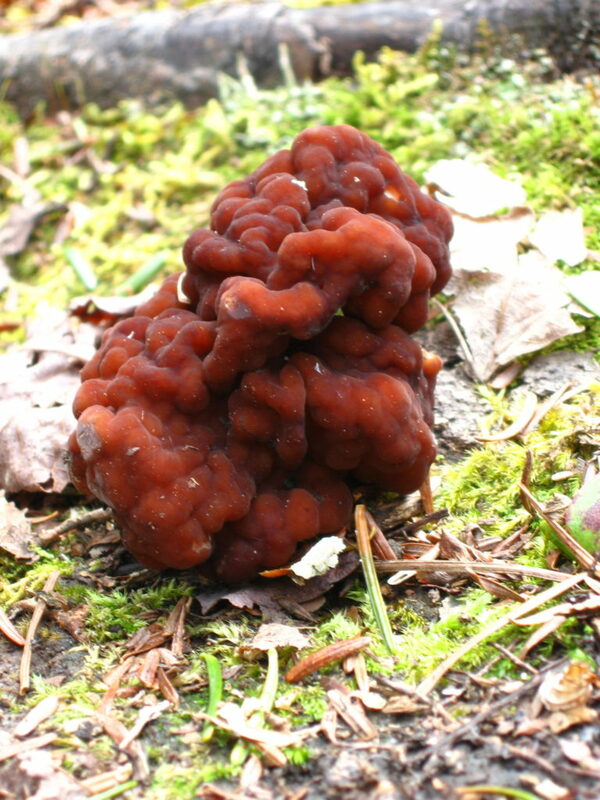 Gyromitra esculenta, False Morel. Poisonous.